Around the season of winter I find myself more inclined to curl up on the sofa and get cozy than be anywhere else, especially the gym. The fireside beckons me or I wrap myself up in a long sweater for the day and huffing and puffing just don’t seem to make it into my day. However, I have found my way into exercising in a way that gives my body movement and begins my day with a refreshing awakening without being overly worked-out. I’m not talking about getting on a treadmill for an extra hour or biking another 6 miles into your routine. I’m simply talking about stretching. Stretching is an important component to any exercise routine and is often overlooked because it doesn’t offer the sweat and burn of cardiovascular or weight training. However, many movement exercise ses like yoga and pilates incorporate stretching as a fundamental component of the routines for your body. 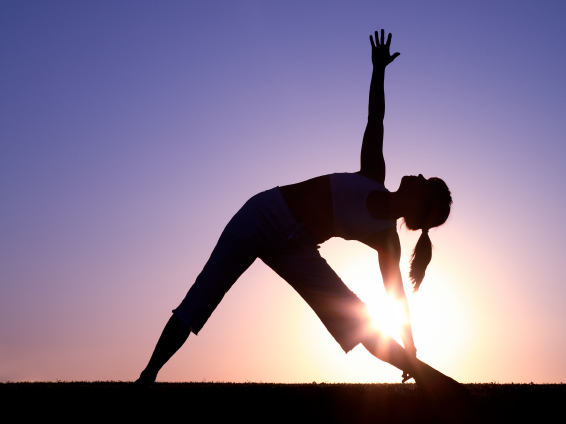 Taking this into consideration as well as the flare that I experienced in the Fall, I have started stretching as part of a mini-exercise routine I do in the mornings. Before my brisk AM walk on the grass where I breathe in deeply and flap my arms about, (very amusing especially to the cats who watch me) I begin on the mat. I use a long round tube and roll my feet along it. Then I work my way up my body, my calves, and then my thighs rolling back and forth and breathing. Laying on my back with the tube under my neck, I do a backward stretch with the tube under my arms to open up my lungs. I turn on my side and stretch out my arm in one direction and my leg in the other, stretching them apart as far as I can, picturing a long string attached to either end. I repeat the same on the other side. I do this several times, then conclude returning to my back and point and flex my feet in the air. At the end I also will do a few yoga roars of the lion on all fours curling my head in and my belly up and then releasing it. This is great for your intestines as it loosens and massages it. It’s a wonderful way to begin the day and a great opportunity to say yup I did my exercise today and I’m all stretched out from it! hehe Let me know what you do to keep your body limber. Hey could you do a youtube video on how you stretch? 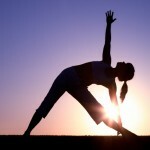 I think your insight is important as I find when I am consistent about doing my stretches I get more benefit out of it. I find it a great way to begin my day and even end my day at times- like tonight! Easing into exercises is key no matter what your fitness level. Thanks for sharing, please continue to do so. Thanks for the information on search optimization. At this point I am not doing anything with this though I appreciate it. I hope you wil continue to enjoy the blog. It is appropriate time to make some plans for the long run and it is time to be happy. I’ve read this post and if I could I desire to counsel you some attention-grabbing issues or suggestions. Maybe you could write next articles referring to this article. I desire to learn more things approximately it! Thanks for your comment, and your desire to learn more things upon reading the blog. Heya i’m for the first time here. I came across this board and I find It truly useful & it helped me out much. I am hoping to present something again and help others such as you aided me. Thanks Deluccia glad to hear that the blog is helpfl and useful this is wonderful. May it help you to help others and welcome. Thanks Georgianna, happy to hear that you have enjoyed the blog on kindle! I just want to tell you that I am just all new to weblog and really loved you’re web-site. More than likely I’m going to bookmark your website . You surely have superb articles. Thanks a bunch for revealing your blog.